Car and Showroom Turntables: As well as our expertise in producing turntables for residential use, we have also been instrumental in supplying a variety of turntables for car and showroom use in the automobile and entertainment industry. 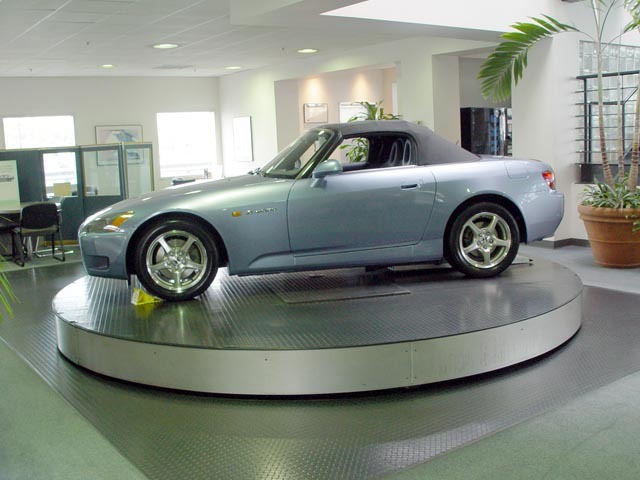 Car showroom turntables will usually be of the electro-mechanical, above ground installation to ensure as little disruption as possible while being installed. Control will be via a simple on/off type wall-mounted switch similar to a light switch. Contact our support team to discuss your Showroom Turntable needs.